Looking for an easy way to start your petrol power garden tool? 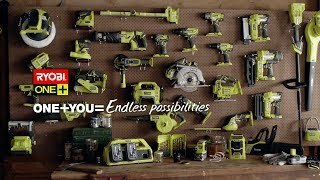 The RYOBI 18V easy starter is the solution you've been waiting for. Designed to start all compatible power tools, the easy starter makes maintaining your yard simpler than ever. Forget wrestling with pull cords — this handy unit takes all the hard work out of turning your tools on. Lightweight and portable, you can take advantage of the interchangeable starter bit to start line trimmers or blower vacs, making it a versatile accessory for all your petrol garden needs. The 18V starter fits right into RYOBI's innovative ONE+ battery platform, so you can use your existing ONE+ batteries to operate your new easy starter. 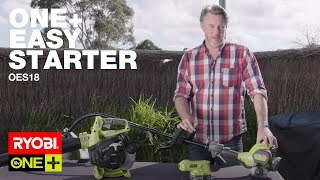 Get the RYOBI 18V easy starter from your local Bunnings Warehouse today. PLEASE NOTE: The Easy Start Module is sold separately to the Easy Start range of products unless purchased in a kit.